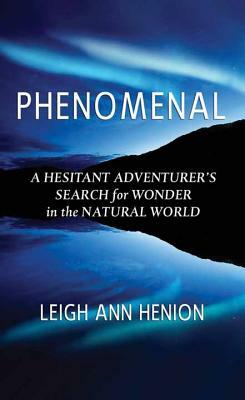 Phenomenal, by Leigh Ann Henion, will make you long of sights unseen. Her well crafted travel book is full of stunning descriptions, brilliant research, and a relatable voice. Even as a young, independent, childless girl, I can relate to her plight - we are born to seek adventure and phenomena that makes us one with nature and the universe. All life's trivial problems are forgotten when hundreds of lightning bolts crash before you! "Phenomenal" begins in hardship: with Henion deeply shaken by the birth of her beloved son, shocked at the adversity a young mother faces with a newborn. The lack of sleep, the shrinking social circle, the health difficulties all collide and force Henion to ask hard questions about our accepted wisdom on parenting and the lives of women. Convinced that the greatest key to happiness both her own and that of her family lies in periodically venturing into the wider world beyond home, Henion sets out on a global trek to rekindle her sense of wonder.